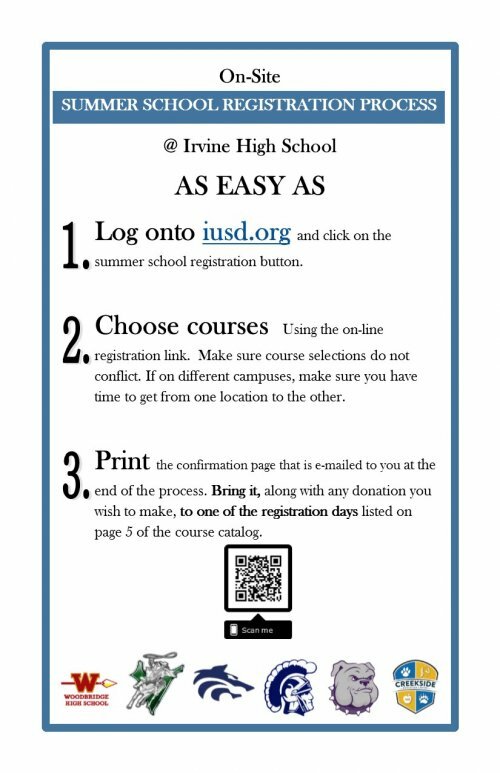 Summer school will be at Irvine High School and Creekside and will run from June 11-July 24. Registration runs from April 9 to April 26. 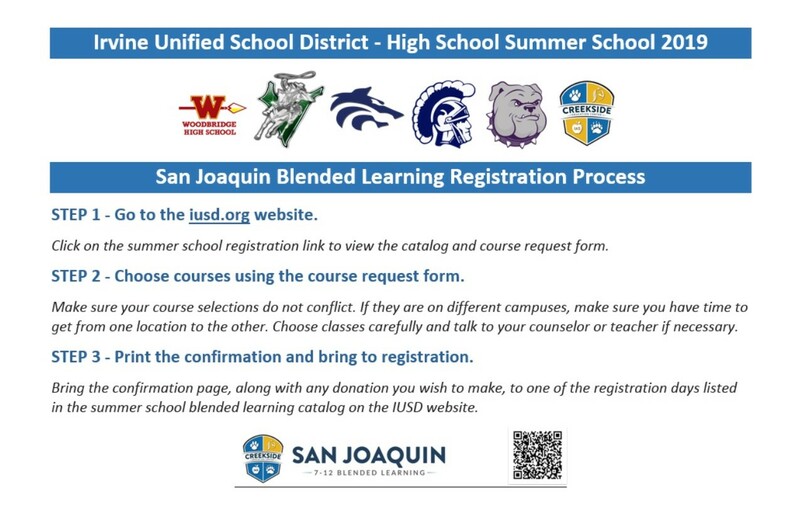 Summer school options run from enrichment to remedial. Please see the attached information for specifics about IUSD Summer School.